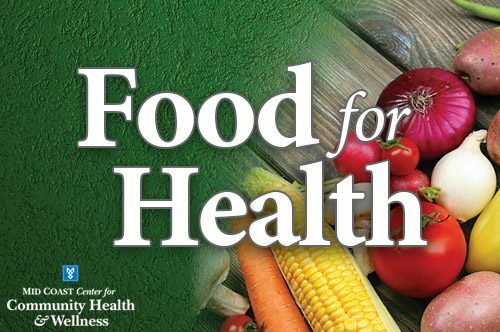 Food for Health is offered free monthly throughout the year. It provides cooking demonstrations and education showing how chronic diseases can be prevented, treated, and even reversed with a plant-based diet for an overall healthier lifestyle. On Tuesday, January 8, join us at the Mid Coast Center for Community Health & Wellness for a cooking demonstration and discussion titled Anxiety & Depression: Foods that Help and Harm, presented by Timothy R. Howe, MD. For more information, please call (207) 373-6585 or visit the Mid Coast Center for Community Health & Wellness website.